I always have ideas for starting businesses, usually they are just throw-away ideas, but this organic idea was sticking, not just with me but with my wife Sarah. At the time we had an 8 month old baby and were very precious about what we fed him (we still are and he is now 9 years old!). 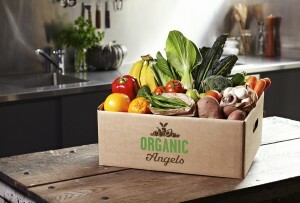 We always liked the idea of organic food, we just didn’t like the higher price. With a baby our mindset changed. We were happy to pay the premium, now and then, if we knew little Charlie was getting good nutrition. One lunch time in May 2005, I was reading this article about Abel and Cole, an organic home delivery service in London. Starting very small, selling spuds door-to-door driving a ‘knackered van’. Jumping to 15 years later, they were delivering 20,000 boxes of organic veggies a week. I was inspired as I was reading, not just by the rags to riches story, but I loved the business concept and I wanted to used this service. It was then I realised there was absolutely nothing like this in Melbourne (my home town). I forwarded the link to Sarah mentioning that we could do this. When I got home from work, Sarah told me that it was all she had been thinking about all day. After we had discussed the possibilities of this idea we were really enthused to take it further. At the time, Sarah had a little training business and had spent time with a mentor writing a business plan for it. We used this as a template to write a business plan for our organic food business idea. The business plan, it turned out, was essential. I recommend that if you are starting a business you need to write a Business Plan. There are many things you can never plan for, and when running a small business you learn by doing. But writing this plan, gave us a clear directions and showed us that this really was a viable business. We sent it to trusted advisors for their input who were able to see the whole picture and give us valuable advice. Most of all the Business Plan inspired us to take the next step, it helped us to know the what the next step was and to begin building our business. We began trading in May 2006, it took us a year from the initial idea to the launch. I am very inspired by how you took one good idea from one place to another and develop the idea bigger and further. I have recently become more aware of organic food under the influence of my mother. I am wondering if you do your own organic farming? Or do you distribute for organic farmers? It would be great if we could exchange email as there are many questions I have regarding organic food businesses. Hi, interesting blog. What is the nature of your business? Market/restaurant/ deliveries? Do you grow your own vegetables or just trade ??? I am also interested in organic food business but i want to grow the veggies my own. I want to start organic food business online as I have my own uncle farming the land. I am not able to think on how and from where to start…. Dear sir I am from India , my name is Rachnaa I read your story on organic food business which I personally liked it because even I love to use organic products for my family. From very long time I and my husband are planning to start up a business and for which I liked the plan of organic food. Sir can you please tell me how to start this business and how much investment will be required.